I have always had a soft spot in my heart for this book. I’ve lost count of how many times I’ve read and reread the adventures of Meg, Jo, Beth and Amy, and I was one of the countless girls that have felt a kinship with the tomboyish Jo. I never felt like I quite fit in, and definitely related to her passion over writing. I have always been a prolific writer, but unfortunately unlike Jo, I have so far lacked the determination and the focus to finish a novel. 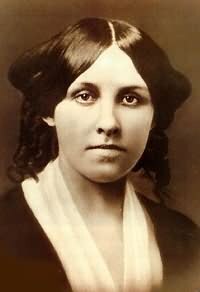 I used to be fascinated by the differences that Alcott had created between the four girls, as well as allowing them to be bound by a strong love, that almost seemed to be maternal. Well between Beth and Jo, and Meg and Amy at least, the two eldest taking of the youngest in the absence of their mother, while she worried about their father and delivered care to the poorest in their area. I didn’t realise until my teenage years that Alcott had written it about her own family, fictionalising her own experiences, and that she had some definite similarities with Jo. I suppose that it was my first understanding of the fact that authors use their life experience in order to create realistic characters, and very often something of their own character can seep into their work whether they mean it to or not. If you have never read it, then I highly recommend it. It’s a heart warming and well crafted family saga, and the four girls possess enough different qualities to appeal to a wide variety of readers.